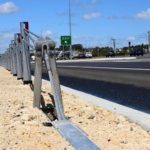 Guardrail has been the staple in the roadside safety industry with Safety Barriers WA having completed installations of W–Beam and Thrie-Beam guardrail throughout Western Australia, South Australia and the Northern Territory. 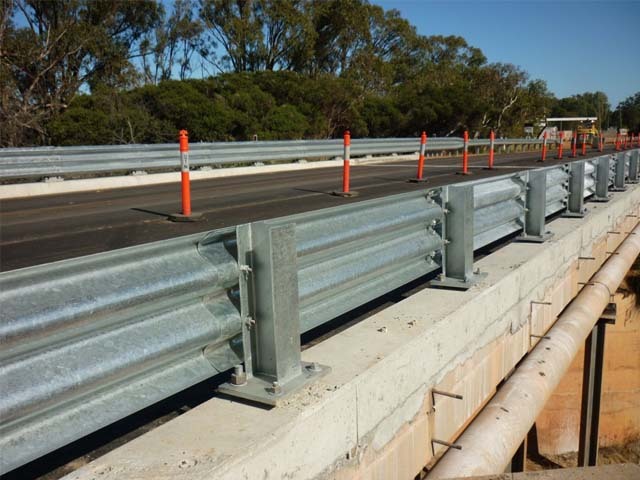 All materials supplied and installed by Safety Barriers WA conform to Australian Standard AS/NZS 3845 and the requirements and specifications of the State Road Authorities like Main Roads WA (MRWA) Specification 603. 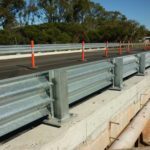 Safety Barriers WA are the first choice across the building and construction industry with installation and supply to sectors such as mining, local government, shires, commercial and civil construction sectors. 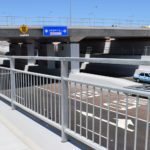 So why compromise on Safety? 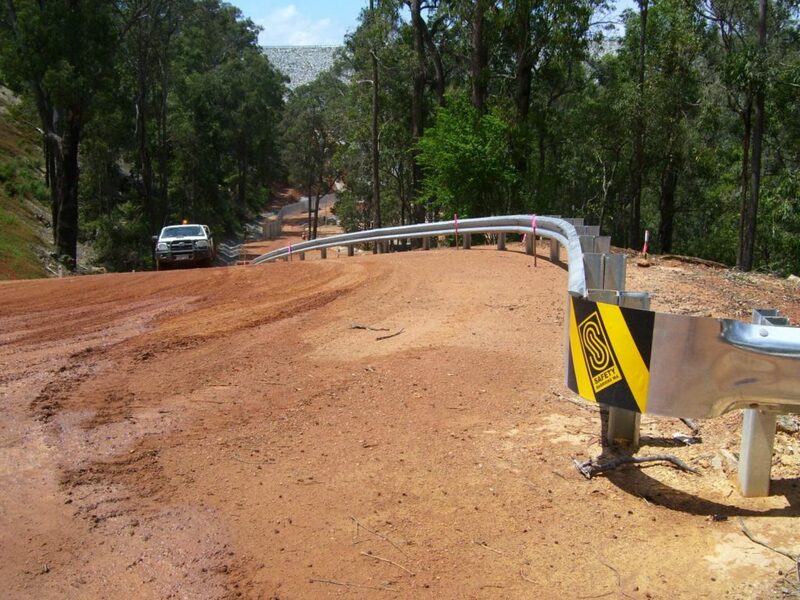 Insist on Safety Barriers WA for your next project. 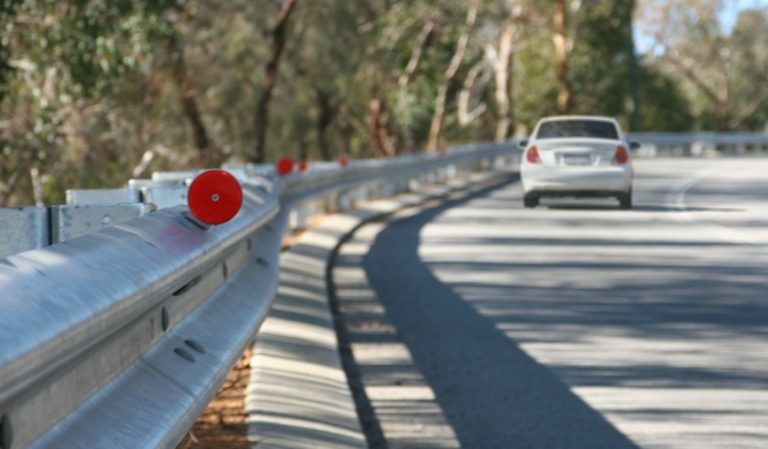 What is Armco Crash Barrier? 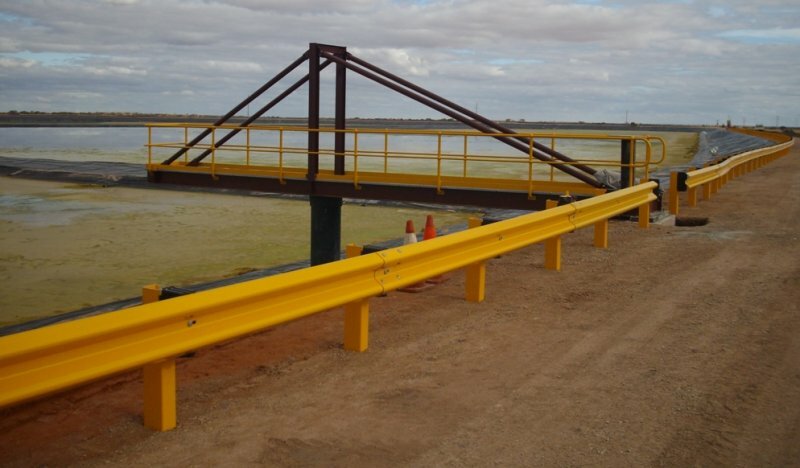 Armco crash barriers are a genericized trademark to refer to guadrail crash barriers within the industry particulary of the steel W-Beam and ThrieBeam varieties. 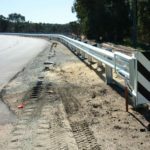 Safety Barriers supplies and installs all roadside guardrail products meeting the Australian Standards and local Road Authority requirements. 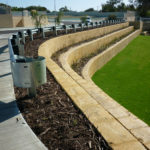 Flexibility to be installed into tight radii by curving. 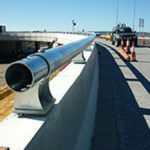 Damage to assets such as buildings, tank storage systems, manufacturing and production facilities. 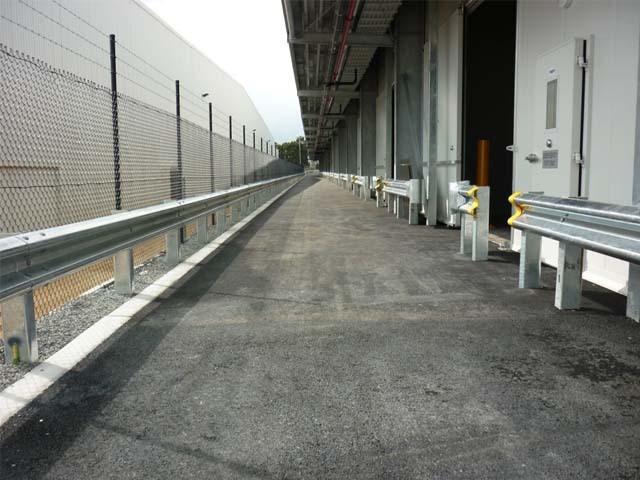 Employees, by delineating them from traffic such as forklifts, cars, and trucks and increasing safety. 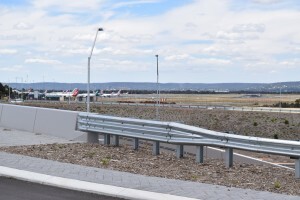 From falling off open edges or embankments within the workplace, such as loading dock ramps, single and multi-story car parks, etc. 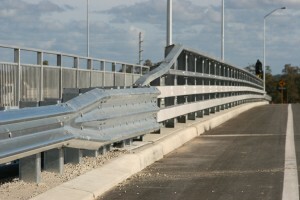 Double height W-Beam Guardrail for separation from heavy vehicles and pedestrians. 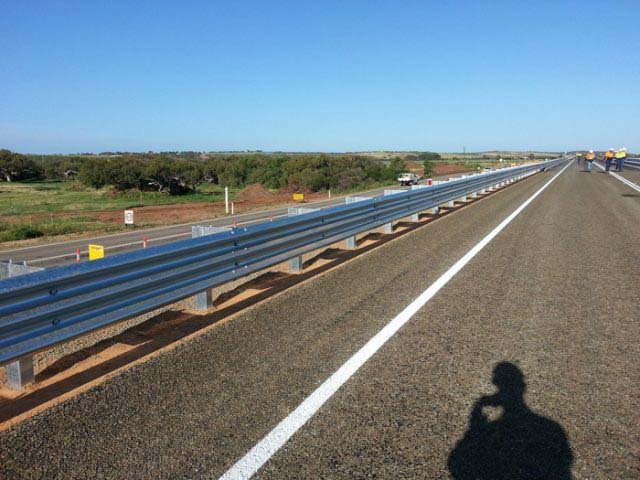 Thrie-Beam guardrail is a relatively recent addition to the Western Australian bridge and roadside landscape offering superior performance. 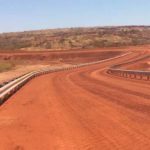 Where a history of high impact frequency to reduce maintenance is needed. The deflection capacity on impact needs to be limited. 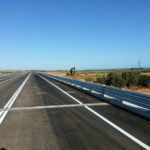 For example; narrow medians on roads with a restricted cross-section. 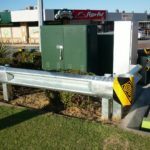 Every barrier installation is individual in its mix of assets to protect and be installed on, often requiring a transition from one barrier type to another. 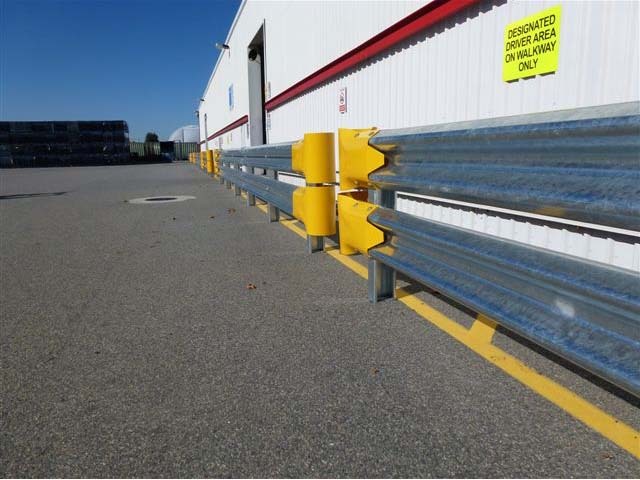 Guardrail transition barriers are designed for maintaining fence integrity and vehicle impact safety while reducing fence installation costs. 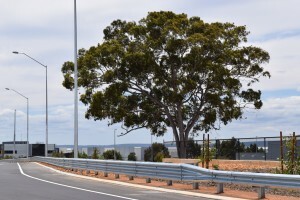 Why compromise on safety? 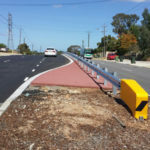 Insist on Safety barriers WA.